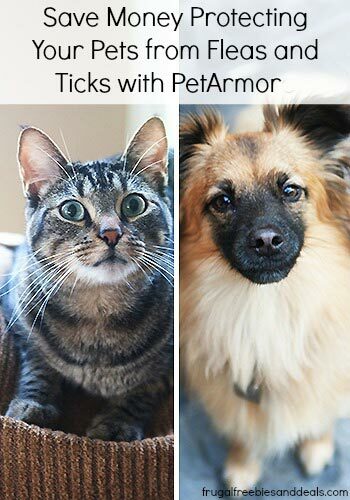 This post was brought to you by Pet Armor through FFD’s partnership with Mom It Forward Blogger Network. All opinions are my own. I barely remember a time that I have not had pets. I grew up with both cats and dogs and as an adult I have had them, too. The only time I did not, was in college and my 1st year of marriage. But even though my hubby is not a cat person he made me a “voucher” to pick out a cat from the Humane Society for my birthday when we had been married less than a year. And so I got my 1st cat, Punkin, as an adult. She was a beautiful, black shorthair, so shiny and sleek. But they are still in our hearts and so we continued to share our love with some new fur-babies when we adopted my son dog from the shelter. How I love that little guy. We think he is a Poshie (which is a Pomeranian/Sheltie mix). He is so cute and is always at my side. After Punkin passed on we adopted Shadow, who is a loving gray tabby. He is a sweet guy, too. I love my fur babies and is is super important for me to protect them from fleas and ticks, but being frugal I don’t want to spend a lot. So, when I found PetArmor I was pretty excited. It’s about 1/2 the cost of other flea and tick medications and has the same active ingredient. This means PetAmor is more cost effective to use during the cooler months, as well as summer. Summer is flea and tick season but they also are around around well into the fall. Some species of ticks, like the American Dog Tick and the Deer Tick, tend to be active during the transition into fall. The adult stage deer tick actually begins its feeding activity about the time of first frost (or early October throughout its range), and it will latch onto any larger host (cat to human) any day that the temperature is near or above freezing. Adult female deer ticks can transmit Lyme Disease. Another tick that carries Lyme disease is the Blacklegged tick. The adult stages of this tick begin to become active as the season changes from summer to fall. Fleas can also survive in your warm home. So using a product like PetArmor for your cats and dogs can be a great way to prevent infestation. Ticks carry deadly diseases like Lyme Disease and Rocky Mountain spotted fever. YUCK! We don’t have a lot of ticks in my area, but we definitely have fleas. Flynn is mostly an indoor dog, but he still picks them up outside when doing his business, and then can easily bring them back into Shadow. 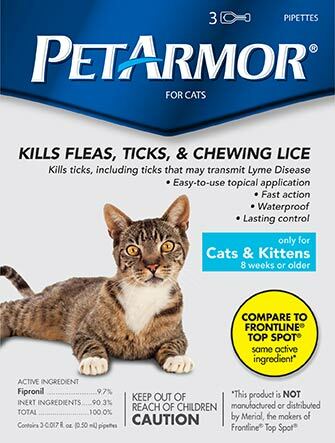 So PetArmor is a great product for us to use on both our cat and dog to help control any unwanted visitors, like fleas and ticks, in our home. 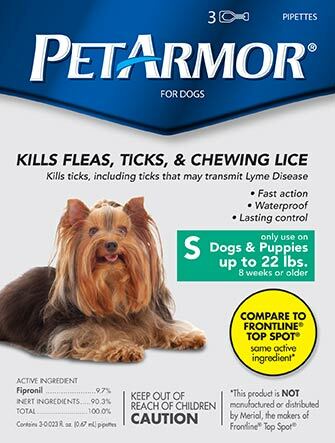 For more information on PetArmor visit their Website, Facebook page, or follow on Twitter. Thank you so much for sharing this product! We've kind of just blindly gone with whatever the vet recommended. I'll have to check this out! Your pets are adorable. We have an 8 month old beagle/lab mix! Thanks for passing along this article about PetArmore. I agree, we have to take care of our little fur babies and I am always looking for ways to save money as well. This is great! We have high tick activity around us, so we're always on top of our dog's flea/tick meds. It'll be nice to save a little $$ while we keep him protected!